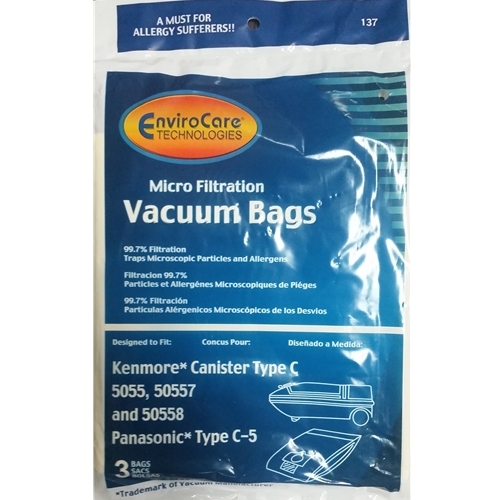 Kenmore Canister Vacuum Bags 5055 50557 50558 Micro Filtration. These bags are the paper micro-lined bags. Traps up to 99.7% of dust, pet dander, mold and pollen. 3 ply construction is stronger than regular bags.